Nancy Whiteman’s foray into the cannabis industry began in her tiny Boulder, Colo., test kitchen back in 2010. “We would make a cannabis syrup, pour it over nuts, and bake them, and it would be, like, a sweet-savory nut mix that was infused. They were delicious,” she says. Even more nuts is the success she’s achieved: Nine years later, her infused-product company, Wana Brands, is far and away the number one edibles company in Colorado. Last year, it grossed $18 million, a number that will continue to grow as she expands sales in six other states. Here’s how a seasoned corporate executive, who has a background in marketing for the financial services industry, became the Martha Stewart of edibles. When I moved to Colorado, I started a sales-and-marketing consultancy. But I found that scaling the service business is a difficult thing to do, particularly in consulting because there’s only one me. I was interested in more of a product-based business. I happened to have a neighbor who was manufacturing a cannabis soda product. But he didn’t really have a kitchen that was appropriate for making edibles, so my partner and I built that. Then we just started experimenting. You’re constantly tasting, but just taking a little nibble. 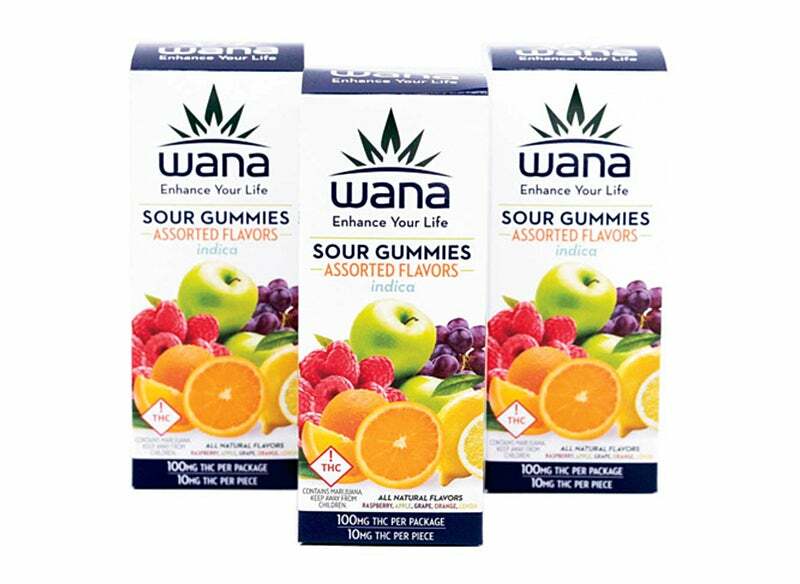 We spent a lot of time finding flavors that work well with cannabis. You have to start with good-quality oil, or you’re going to have a lot of chlorophyll and stuff left in, and that’s what gives edibles an unpleasant taste. And then there are certain flavors that mask the cannabis more than others. Chocolates are very effective. Orange seems to be pretty good. Blueberry is actually a natural bitter blocker. To test potency, we used a third-party lab right from the start. Gummies ended up being your biggest seller. Why do you think that is? When we started in 2010, there really was no industry data, so my market research was just trying a whole bunch of different stuff and seeing what sold. I realized that our sweet spot was products that had a long shelf life and were easy to transport, so we ended up focusing on the confectionery category. When we saw that our gummy line was taking off, we invested a lot of resources there. Has it been hard marketing in an industry with so many regulations? In some ways, the restrictions have really helped small businesses. We didn’t have to worry about not having money for a TV budget, because there is no TV budget. What you have to understand about marketing cannabis is that it’s still largely a B2B sale. In dispensaries, the products are under glass. Mostly you’re going to a counter where there is a budtender, and that person is making recommendations to you. We understood very early on that winning the hearts and minds of budtenders was key. Many people have had bad experiences with edibles. How do you mitigate this? Right on our packaging, it says: “Start low and go slow.” We do a lot of training with budtenders as well. We’re always really stressing with them the importance of asking people if they’re experienced with edibles and what a comfortable dosage is. What’s the biggest misconception about the cannabis industry? Despite all the hype the industry gets, this is far from a get-rich-quick situation. I kept my day job for the first two years I was doing this. If you’re going to get into it, get into it for the right reasons -- because it’s fascinating to you, because you’re excited by it. Think about what segments of the business align with what you like to do and what you’re good at. Look at other industries to see what kind of infrastructure they have, then look for open spaces in the cannabis industry where people are not providing those kinds of services. You’ve had a lot of success, but have any of your products just failed miserably? We did an infused beef jerky, but it was so disgusting. There are, rightly so, a lot of regulations around dealing with meats that we didn’t fully understand. So let’s just say, our jerky was on and off the market rather quickly.